We are looking forward to AIM National Conference 2019 which runs 20 – 22 June at The National Civil War Centre, Newark. Sponsored by Artelia, the theme this year is ‘How to be a great destination’ and our schedule of speakers from across the museum and charity sectors will help you to transform how you attract visitors from near and far. Conference will look at creative place making, becoming a great destination for your community, understanding your audiences, tips for creating an excellent visitor experience, case studies on how to attract groups to your museum and making your shop or café into a desirable destination amongst many more! We have recently updated the schedule of speakers and topics which you can see here. Early Bird tickets for AIM members only are available until 29 April and we strongly recommend that you book for the Conference social events soon as tickets are selling faster than usual. Take a look at the AIM Annual Dinner menu and all Social Events here. Don’t forget – AIM members can apply for an AIM Training Grant to help cover the costs of attending, but please apply by 30 April. From 11am – 12pm on Thursday 21 March, AIM and Charity Finance Group (CFG) will be running a live Twitter Chat covering all your key Gift Aid questions. Gift Aid can be a confusing topic and with around £560m going unclaimed in Gift Aid each year across the charity sector, getting advice and tips on how your museum can successfully claim it is worthwhile. If you would like to join in, simply log into your Twitter account at 11am on 21 March, follow @Aimuseums @CFGtweets and use the chat hashtag: #AIMCFG. Over the past three years, AIM in partnership with Biffa Award has been running the ‘History Makers – People who shaped our world’ programme. The programme has funded museums in England to create new exhibitions that will inspire the public through the lives and achievements of extraordinary, historical figures and we will soon be announcing the final grant recipients from Round Three. As part of the legacy of the History Makers Programme, AIM will be launching a brand-new website in July 2019 that will link all funded projects and showcase the work and content of the exhibitions that AIM Biffa Award have funded. It will also act as a resource for young people, parents, school teachers and museum educators. Trustees of AIM member museums and heritage sites can now sign up in seconds to receive our Trustee newsletter direct to their inboxes via our new newsletter sign up page. This new webpage has been created for Trustees that aren’t already receiving the newsletter directly. We have secured 30 free memberships of the Association of Chairs for AIM member museums in Wales and England. Nearly all of these free memberships have now been allocated, so please ask your Chair or Vice Chair to apply soon for this great offer. Membership benefits include: The chance to learn from the experience of Chairs in other parts of the voluntary sector through a growing peer network, the chance to attend a free briefing for new Chairs (usually £40), access to resources just for Chairs, including a free print copy of A Chair’s Compass (usually priced at £25) and discounted fees for other events. For members in Scotland, AIM will be supporting chairs of museums to connect with the support open through ACOSVO (the Association of Chief Officers of Scottish Voluntary Organisations). Don’t Miss Your Early Bird Place For CFG’s Annual Conference! 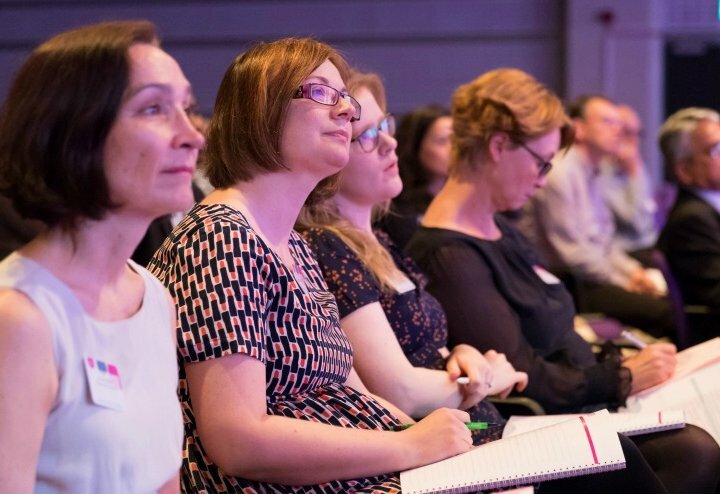 The biggest charity finance event in the sector, Charity Finance Group’s Annual Conference 2019, is coming to London on Thursday 16 May. There’s a packed schedule for the programme this year and we have a brilliant line-up of speakers sharing strategic inspiration, and the very latest technical and regulatory updates you need to know about for effective financial management in your museum. Early bird closes on Monday 18 March – book now! The CFG training calendar is buzzing with new training for 2019, from our ever popular one-day course Foundation Charity Finance to investment training, our programme offers something for entry and advanced level charity finance professionals. Find out what’s coming up near you and book with CFG member rate. The Association of Chairs own Vice Chair, John Williams, shares his view about the role. Engage, the National Association for Gallery Education, has announced that Children’s Art Week is back for 2019, running from Saturday 8 until Sunday 16 June. This annual campaign encourages venues – including museums of all sizes – to participate by hosting an event, or running an activity, that captures children’s imaginations, encourages creativity and attracts new audiences to the arts. All information on the AIM website here. The National Archives and Research Libraries UK invite submissions for this year’s Discovering Collections Discovering Communities (DCDC) conference, which takes place 11 – 13 November 2019 in Birmingham. The theme of DCDC19 is ‘Navigating the digital shift: practices and possibilities.’ The deadline for abstracts is Friday 26 April 2019. The Museums + Heritage Awards, now in their 17th year, have just released their shortlist. The awards had hundreds of entries this year, including in the Individual Volunteer of the Year Award and the Volunteer Team of the Year Award – in partnership with AIM – and the shortlist can now be found here. Arts Marketing Association (AMA) is offering 35 bursaries to help attend their conference ‘Rewire: Culture, Audiences and You’ which runs from 9 – 11 July in NewcastleGateshead. The bursaries cover up to 100% of your conference cost, and you don’t have to be an AMA member to take advantage of this opportunity. For further information and to download the quick and simple application form, please visit AMA Conference Bursaries. Forge is new business support programme designed for creatives and creative micro-enterprises and SMEs in the Blackhorse Lane Creative Enterprise Zone in the London borough of Waltham Forest. Forge will provide 12 hours of free support through tailored workshops, 1:1 advice and coaching, and events enabling networking, peer-to-peer knowledge sharing and making new contacts. Creative United is now accepting applications. Click for full information. The AHI 2019 Discover Heritage Awards, sponsored by NovaDura Ltd, celebrate and recognise excellence in cultural heritage, nature and science interpretation in the UK and Ireland. They are open to entry with a deadline for all categories of 30 April 2019. There are five Awards categories you can choose to enter, and category winners go on to challenge for the prestigious AHI Award for Excellence. By 2020, 30% of web-browsing sessions will be done without a screen as voice-first interactions rise, so make sure your museum features in search engine results with some top tips in this article by Dennis Shiao for the Content Marketing Institute. Learn how your charity can build valuable digital skills and implement front and back-office tools to boost productivity, online engagement and team dynamics, whatever your level of technical understanding. Runs 21 March at 1pm – sign up here. Whilst undertaking a recent capital development project, AIM members, The Historic Dockyard Chatham, have uncovered an intriguing archaeological find – shoes from the 18th Century! The shoes, discovered in the Fitted Rigging House, were then linked to a superstitious folklore that the Dockyard was unaware of until now. This makes the Dockyard the latest historical building to discover it’s being protected by this ancient superstition! Read all about it. The Stationers’ Company Innovation Excellence Awards celebrate the key role that our industries play in the UK economy and give valuable publicity to the entrants and, especially, the winners in each category. Museums and heritage sites that run different forms of eligible communications can enter by 5 April – find out all information by clicking here. Grants for cultural learning, museum, gallery, heritage and performing arts learning spaces. Applications are reviewed on an ongoing basis, although all successful grants can only be awarded at meetings of the Trustees. These are held twice a year, usually in June and December. Grants range from £10,000 to in excess of £1m, although larger grants are made infrequently. Are you passionate about the Heritage Sector? Do you want to work at the heart of heritage policy and help to champion its future? The Heritage Alliance is the heritage sector’s umbrella organisation and advocacy body and we are seeking an outstanding person to take up the key role of Head of Policy and Communications. The successful candidate will join the Alliance’s small, energetic team based in our offices just behind the Tate Modern. The role of the IPR@50 Co-ordinator is to deliver a number of events and activities in Islington that recognise IPR’s work over the last 50 years. Based on this work, the Co-ordinator will need to ensure that a legacy of materials and relationships are developed that can be used by the organisation in the future. One of the main events for which specialist skills are required is the development, curation and delivery of an exhibition at Islington Museum in November and December 2019. It is being offered as a distinctly part-time role on a 1-year fixed term contract, average 1 day a week. Closing date for applications is Friday 5 April 2019. If you are looking for a product or service for your museum, then take a look at the handy AIM Suppliers Directory. Featuring a comprehensive list of consultants, insurers, exhibition and display companies – plus a range of other museum related businesses – our Associate Suppliers have been checked by us for quality and reliability. Recent AIM Associate members that have joined us include: IE Digital (website design and development), Bryn Jones Associates (consultants), 123 Send (card payments systems), Aura Tours (mobile storytelling), Absolute museum and gallery products (Exhibition Display & Storage Systems), Perrett Laver (Recruitment), Ecclesiastical (Insurance), Circle Insurance Ltd (Insurance), Gateway Ticketing Systems (Visitor Analysis), NovaDura (Interpretation and signage).